The gaming world has been caught into the race to the 4K standard and now MSI has taken the first step to a Mobile 4k Standard; introducing the world’s first 3K gaming laptop.The best part is: MSI realizes that the 3k Resolution would be heaven-sent for professionals on the go and has thus also given the option for a Quadro Variant. MSI GT60 20D-261US 3K Ultra HD Gaming Laptop and Optional Workstation Variant. 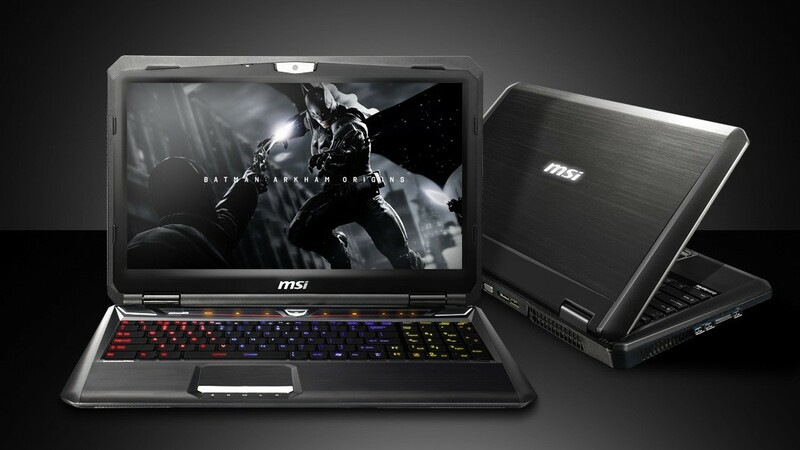 The MSI GT60 20D-261US (wow that’s a mouthful) is an absolute beast in terms of mobile gaming power. It will feature the GTX 780M and the Intel i7-4700MQ Processor, coupled with 16 GB of 1600Mhz DDR3L Ram. The exact resolution is 2880×1620 and the screen size 15.6 inch, though we have no information of the color gamut of the screen.However keep one thing in mind, such a high gaming resolution and only one Gtx 780m would mean you would have to compromise on the 60fps standard in some games (Crysis 3 at 3k with one 780m? Dream On). In our opinion 1080p/1440p/60fps is just fine for a 15.1 Laptop screen. Now onto the optional workstation variant. The mobile workstation niche has been mostly occupied by Eurocom products with their laptops lugables including the world’s most powerful mobile workstation containing the Quadro K5100m and another with 12 Cores (24 Threads) and a built-in UPS (Uninterrupted Power Supply System) believe it or not. The MSI GT60 20D-261US will utilize the Quadro K3100m aimed at professionals in the video industry. It will be optimized for the entire Creative Suite and Solidworks and artists would benefit greatly from the workspace. However unlike Alienware and other high end counterparts MSI priced their gaming monstrosity very reasonably (well for this spectrum anyways). 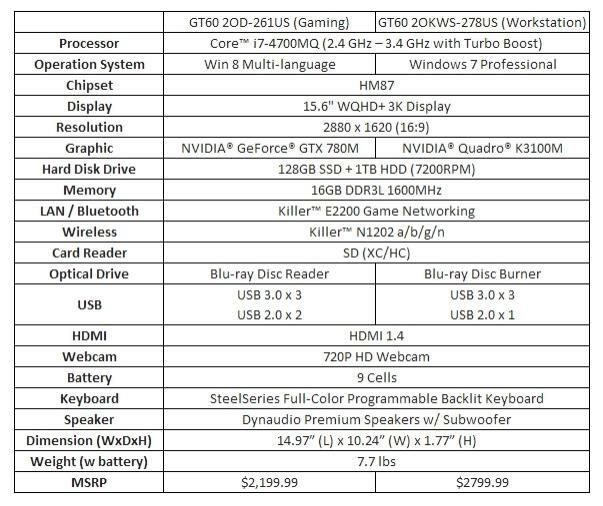 The prices are 2,199 and 2,799 for the Gaming and Workstation Variants respectively.